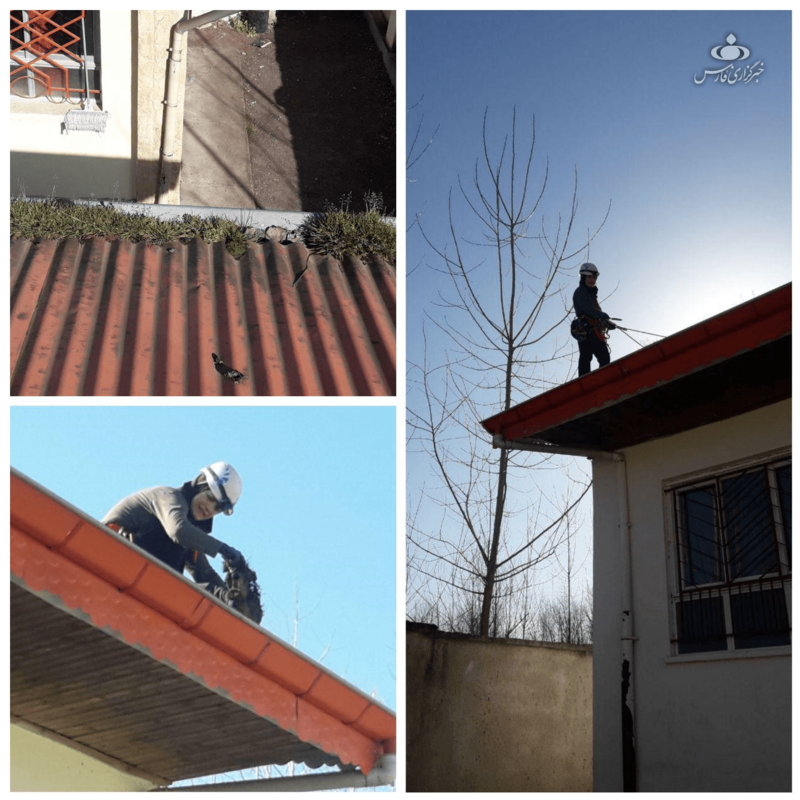 The photo of a lady teacher cleaning the tin roof of a school has gone viral on social media in the past few days. However, the story becomes more attractive when we find out that she has conquered all mountain peaks in Iran and is the first weightlifting woman in the country as well as the only woman caver in Guilan province. 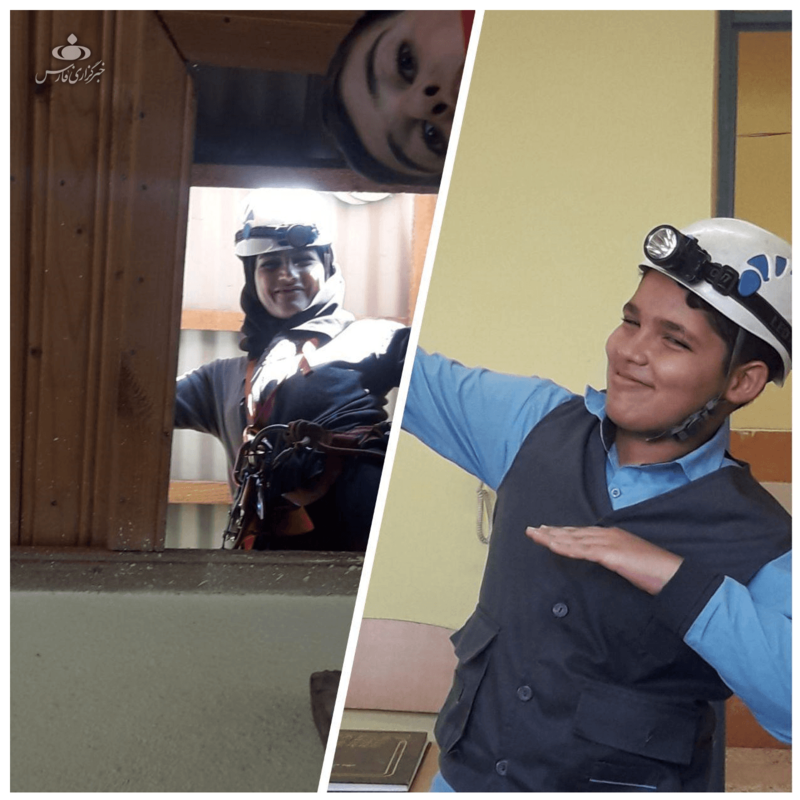 Arezoo Zamini is a Jack-of-all-trades teacher who does everything from weightlifting to mountaineering, caving, waterfall climbing, and valley climbing. 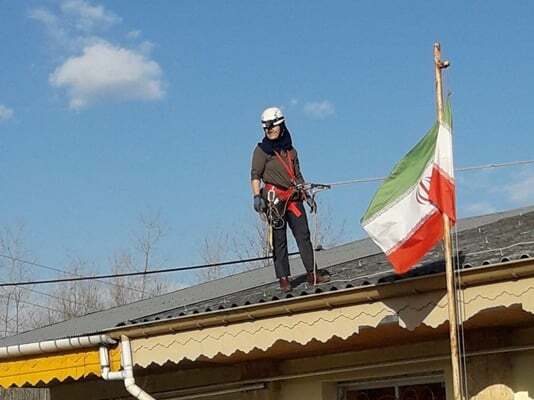 She says since her photos were published, she has received congratulation messages not only from across Iran, but from Italy, Germany and Spain as well. She says everybody has hailed her as a lady teacher who feels responsible even toward the physical educational setting of her students and draws on her technical skills to help refurbish the school environment. But this is only a small part of the capabilities of the brave and seasoned lady teacher of our story. 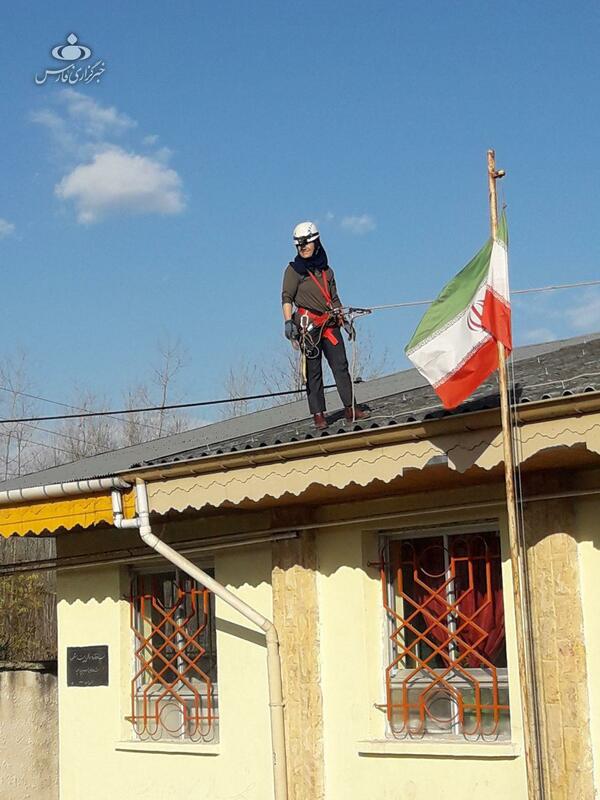 Arezoo teaches at Sa’eb school in Kooshal village in the city of Lahijan, the capital of Guilan province. “When I saw from the school yard the rundown condition of the tin roof, and remembered that snowfall was forecasted for the weekend, I got worried,” she says. “In this season in northern cities, the locals’ only preoccupation is to fix the tin roofs of houses, schools, etc, before snow begins to fall. The reason is that the dust which is brought by wind and has settled down on tin roofs in one or two years turns into mud after it rains, helping the seeds brought there by wind to grow. Moreover, if this mud is not cleaned, it could weigh down on the roof when it snows and may cause the roof to collapse,” she adds. “It takes at least 200,000 tomans (20 USD) to have a tin roof cleaned each time,” she says. “I thought the Education Department has no budget for this. Moreover, our school is located in a village and has not income, either. So, I decided to go into action myself,” she adds. She says tin roofs have very steep slopes and it is really dangerous to work on them. “I brought all my specialised tools to the schools and set up a specialised workshop on the tin roof of the school,” she adds. “The tin roof was 20 metres long and it took one hour and ten minutes to clean it. All the while, my students in the yard were enthusiastically encouraging me. And that photo which went viral on social media was taken by one of my students with my own mobile phone,” the teacher says. Forbidden to Do Sports till 33 Years of Age! 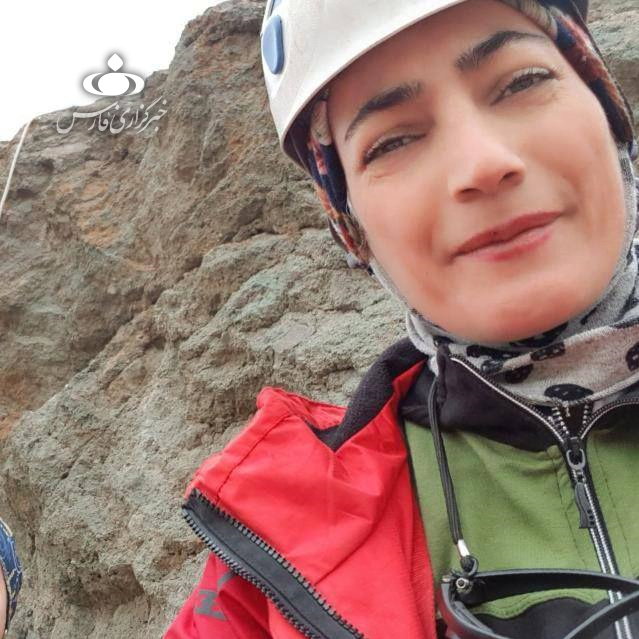 It would be surprising to know that Arezoo, who has conquered all of Iran’s mountain peaks and is the only woman caver in Guilan province and the first woman to have climbed the highest waterfall in the country, was forbidden to do any physical activity until she was 33 years old! “I was suffering from a congenital heart disease; my heart had 6 problems and its malfunctions got worse gradually. When I was 10 years old, I underwent an open heart surgery whereby a transplant was carried out on only two of the holes in my heart, and the remaining 2 were left as they were,” she says. “Still, I was put on the waiting list for a heart replacement and mitral valve replacement operation. In fact, I was not allowed to any activity, nor was I able to. I had to sit down ten times during a ten-minute walk, and I always longed to do sports,” she says. “In 2005, I happened to travel with Dr Maleki and Dr Hekmatpour on the train on a trip to Zanjan. On the way, Dr Maleki, who was a member of the jury of the country’s Weightlifting committee, asked my mother why I was so sad,” she adds. “She has a heart disease,” answered my mother. “Heart disease? Come on. Don’t listen to these things! Come and exercise with us. I promise you will get better” he said. “No one, me included, believed it, but a miracle happened,” she says. Arezoo I am! Iran’s 1st Woman Weightlifting Champion! She says she started her workout with weightlifting exercises and made progress day by day. “Regular exercises helped strengthen the muscles of my heart gradually and enabled me to do more vigorous physical exercises. I was the country’s first woman weightlifter and tried so hard that I managed to win the gold in national championships and I was chosen to attend Greece contests,” she says. “I experienced whatever I had longed for, from running to swimming, badminton, weightlifting, and football,” Arezoo notes. “When playing badminton, I would attach 0.5kg-weights to my hands and 1kg-weights to my feet to make my muscles stronger, and I got more surprised every time I saw my body was stronger than I thought,” she says. No Peaks Left to Conquer, So I Became a Caver! She says she picked up mountain climbing in 2006, the same time she began to do weightlifting. “I conquered all high summits in the country in 5 years,” she says. “Afterwards, I attended specialised caving, valley climbing and waterfall climbing courses. 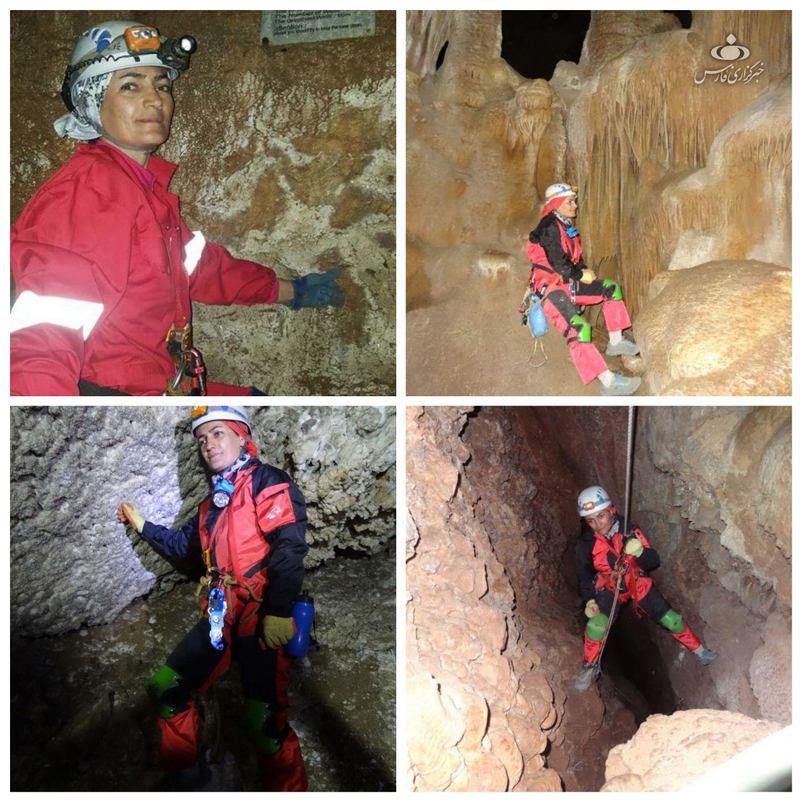 And I was introduced as the only woman caver of Guilan province. 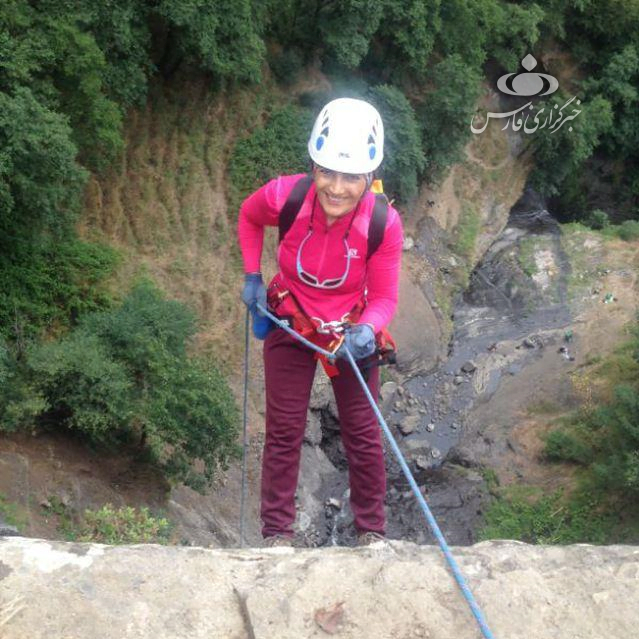 Also, I managed to become the first Iranian woman to climb the 108-metre waterfall, the country’s highest,” she says. My Heart Does Not Need to Be Replaced Anymore! Arezoo says she conquered the Somamous peak, the highest summit in Guilan province. A tragic incident happened. 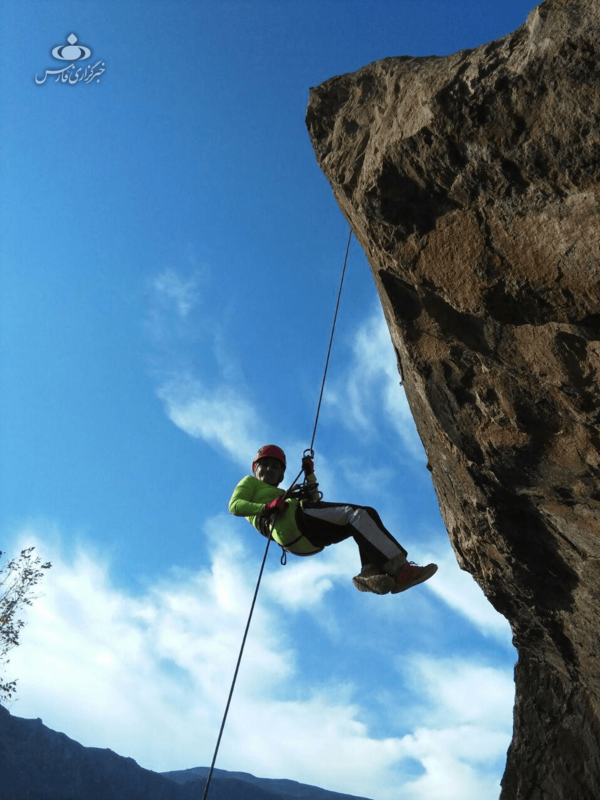 A hole was created in the aortic valve of my heart, and doctors put me under a bond to not climb heights further than 2000 metres for 5 years,” says Arezoo. She received angiography two times from 2013 to 2015. “Regular exercises have made the muscles of your heart so strong that there is no need to replace the ventricle and atrium anymore,” doctors told her. “It would be interesting to know that my mother did not know, by then, that I was conquering mountain peaks as well. She panicked when she found out. After that, whenever I wanted to go on a mountain climbing expedition, she would tell me “Go wherever in the world you desire; just come back alive!’,” she says. Arezoo says she was told by her doctor that she needed to keep doing strenuous exercises because her heart would stop If she halted doing exercises. Arezoo Zamini holds a Bachelor’s degree in Social Sciences with 27 years of experience in teaching. 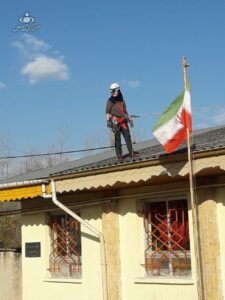 She also has a brilliant record sports and is having good days with students at a school in a village in northern Iran.